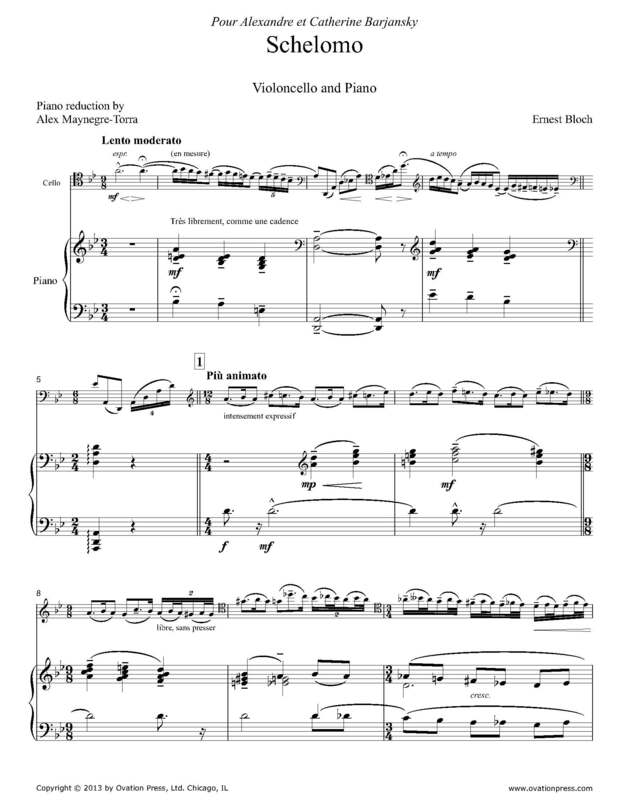 For many decades, pianists have had to try to make sense and play the original piano and cello version of Schelomo, by Ernest Bloch. The piano reduction of this masterpiece is nothing but impossible to play and to decipher and every pianist has had to come to terms with it either by rewriting most of it or by omitting very important material. As Dr. Allison Gagnon wrote, "Bloch avoids making the choices in notation that would have made his piano reduction a score for performance, rather than for reference. He resorts to use of a third staff in small print to include more information, so each pianist has to edit and rewrite the part in order to play it well." This also means that every pianist plays it differently, which makes it difficult for cellists to remember what sounds and what material they should be listening for when they perform this piece with piano. The new reduction by Dr. Maynegre solves all the reading and technical problem of Schelomo without making the reduction overly simplified. The extra staves are removed, the combined time signatures re-arranged and all the musical material arranged in a way that is all understandable and playable. With this reduction, rehearsing and performing Schelomo will finally be a musically rewarding task for both pianists and cellists.